This Thursday I am thankful for the pure and simple fact that today is a brand new day. A chance to learn from the error of the yesterday and start again. I actually started this post yesterday. Back then it was going to be called A Tough Day at the Office. Only it didn't really feel quite right. I am mean I don't exactly have an office and the toughness experienced was more of a poor mindset than anything else. In fact I think it is fair to say that everything that happened yesterday was the result of a terrible attitude on my part. One that I am thankful to have left behind today as I prepare myself to tackle the day full of optimism and hope. Getting back to yesterday though and why am thankful I have the insight today to not let yesterday's woes get me down. Well this Saturday the man himself is performing in my sleepy little town. Yep I know totally amazing huh? I still can't believe it. When I heard the news I dumbstruck. It was like a surreal dream coming true. I have loved Kenny since I was knee high to a grasshopper. My parents had this boxed set record collection that had all his songs on them. Some of which I am still yet to find on CD. I loved it. I listened to it non stop. Whenever it was my turn to choose a record to put on it would be one of his. Even when we weren't allowed to have music on I would just sit there reading the song names and then seeing if I could play it in my head. Even now I have a ridiculously large amount of his CD's. My pea sized brain, can not fathom the thought of him being in town and not seeing him. While I may live in a capital city it is one that is often over looked by awesome performers. We are too far away from the rest of the country to make it worth their while to swing by up here. To have a super star such as Mr Rogers perform and not go is just wrong. Months ago when I first heard of the concert I was adamant that I would be buying tickets the moment they went on sale. Only when I found out the price I couldn't quite scrape together enough money for all of our tickets. Some $237 in total. Knowing the venue and knowing where I live I was fairly confident that tickets would still be available at the door so there was still plenty of time to get them. Only now that time is nearly up and financially we are not exactly better off. Perhaps even worse because now, as Mr Awesome rightly pointed out, the $237 I think we should spend on tickets to the one and only Kenny Rogers would be better spent ensuring our car is ready for the upcoming road trip. Which I do get because $237 is a lot of money, but it is Kenny Rogers we are talking here. My brain can't comprehend not going. Nor can it come to terms with sitting in the park next to the outdoor venue and just listening to my all time favourite superstar. Now here is where the bad attitude starts. Normally I am quite happy to leave such problems in the more than capable hands of the universe. If I am meant to go then they will help me get there. Previously this attitude has served me well, and in the past I have been very well looked after by the powers that be. On Tuesday I discovered that a local radio station is giving away a double pass each morning this week. It is not normally a station that I listen to but for such great reward I can do anything. I couldn't help but feel this was the universe giving me my chance. Yesterday morning I was determined to be the winner of those tickets. The moment I came downstairs I tuned the radio in and began to listen for the highly anticipated cue to call. After nearly an hour and a half finally it came. Naturally every other Kenny Rogers fan was calling in as well. The first fifty times I got the engaged signal. With the landline at one ear and my mobile at the other I was certain one of them had to get through. Sadly I was wrong. I could hear the announcers talking they had already been through a number of calls looking for the right answer. Which I had of course. Feeling slightly dejected I was about to give up when they put out a request for more callers. In an instant I was through. When the line answered and they took my details my heart was racing faster than I have ever felt. A knot in my stomach formed when they said I was second in line. My knot quickly dispersed into a thousand butterflies when I heard the caller before get the answer wrong. I began thanking the universe no end. My faith strongly held that this what I had been waiting for and my dreams were about to come true. Before the announcers even finished the first question I blurting the answer at them and jumping up and down with joy. I knew with absolute certainty I had it right. Trying to regain my composure I ready myself for the next question. 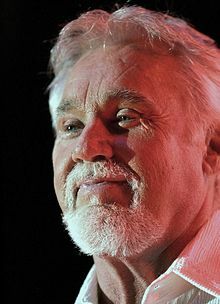 In the TV series The Gambler, Kenny Rogers played Brady who? My heart fell to the floor instantly. In fact I think I nearly collapsed. I had no frigging idea. None at all. Not even an iota of an idea. Looking at my iPhone laying on the kitchen table I momentarily thought of turning to Google. Only that would be cheating and I just couldn't bring myself to do it. "Is it Johnson?" my voice trembled. Already knowing it wasn't Johnson. The universe had suddenly disappeared and left me to fend for myself. The announcers might have given a bit of a "oh sorry, what a shame" before hanging up and moving on to the next caller, but all I could really hear was the beeping of the dead line. I was shattered, beyond mortified even, total devastation and on the verge of tears. All over a stupid double pass to a concert. The bad mood, yelling and just generally poor behaviour that followed was appalling. Seriously appalling actually. My poor girls, bless them, tried so hard to console me but I just wouldn't let them. I felt betrayed by the world at large. Unseen and unknown forces were suddenly working against me and I didn't want a bar of it. Through out the day I tried hard to readjust my attitude. After all there are still two more days left to try again. However I can't help but wonder if the universe has totally turned it's back on my after my appalling attitude of today. I know if I were the universe I would not reward my child like behaviour. Try as I might I could not find comfort in the euphoria that Michelle from Humpty Doo, who managed to answer the elusive question, must have been feeling. I am sure she too is a die hard fan and perhaps even in more of a dire financial situation than I. The universe, much like the Lord, works in mysterious ways sometimes. I know this. Just sometimes, when it doesn't quite go the way I would like I feel like stabbing in the eyeballs with a fork. Should the universe of course have eyeballs. Anyway today I am thankful that yesterday is over. A lesson has been learnt and I will try not to behave like a spoilt two year old anymore. Because you know what? As dire as our money situation might be to us, I know that there are many out there who are in a far worse situation. Far far worse. In fact at the end of the day I am not even sure I should be using the term dire. After all, we have a place to live, a car to drive, food on the table and clothes on our back. All of which I am incredibly thankful for. Today I will be looking for all the blessings that come my way and not get dejected if things don't go as I think they should. I will make sure I am thankful for all that I have. Especially the the lovely Thai lunch a beautiful friend offered to shout me. Head on over to Kate Says Stuff to share some other great thankful posts. Ooh... a free thai lunch IS certainly something to be thankful for, enjoy! I was thankful that I have left over pasta in the fridge for lunch, but now I feel like thai food... hehehe. Sorry you missed the chance. My hub is a huge Kenny fan too , I don't mind him either. Though he does look younger today than 20 yrs ago. It is still disappointing for you .